I’m not sure where this is going, but tonight I got an idea for Amanda and Richard Larson and thought I’d run with it to see what happened. I am a panster, so I have no idea where this will take me. But since I am dabbling in flash fiction, I thought I’d try my hand at the opening scene in Wagon Trail Bride because I’m hoping it’ll get my brain going. 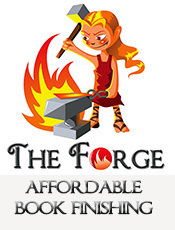 I do want to write the book. I’ve been wanting to write it ever since I wrote Sally Larson’s book (Her Heart’s Desire). I just wasn’t happy with my original attempt. So I have tossed it all out and am starting over. Ironically, writing the Regencies has opened my mind for historical westerns. This is why I write more than one genre. It helps me stay fresh. Anyway, here it is. It’s almost 1000 words long. It’s not a complete story. It’s just an opening scene to get the ball rolling. And, for the first time, I’m excited about telling Amanda and Richard’s tale. As a side note, I have not done any editing to it. This is in first draft form. But if she’d known it was going to be this difficult, would it have made any difference? She stared at her reflection in the water. Was she a bad person for agreeing to marry Richard? Should she have said no when he asked? Amanda turned as Laura Rufus knelt beside her, her light blonde hair a stark contrast to Amanda’s dark hair, even though both had their hair pulled back in a bun and were twenty. Wiping the sweat from her brow, she said, “I’m just getting some water to drink.” Then, to demonstrate, she gathered more water in her hands and drank it. On some days, she could tolerate Laura. On others, all she wanted to do was tell the young woman to mind her own business. At least Richard’s parents left her alone. It helped that Richard had five younger siblings they had to look after. But Laura… Well, she was an only child and—worse—she wasn’t married yet, so she had nothing else to do but follow Amanda around. Amanda picked up the two canteens from the grass and began filling them up. Biting on her tongue, Amanda willed the water to fill the canteens quicker. Why couldn’t they have found a larger stream? Then she hurried back to the wagon Richard was driving, glad it was two ahead of the one Laura’s family owned. She lowered her gaze as she passed others on her way to Richard. When she reached him, she waited until he finished taking care of the oxen that pulled their wagon before giving him his canteen. The prairie wind blew an errant strand of hair in her eyes, and she brushed them away. “I sleep better at night if I walk.” And besides, she got restless when she sat with nothing to do. When she was walking, she was doing something, even if the land spanned for endless miles. For a moment, she thought he was going to say something, but then he offered a hesitant smile and got up into the seat. She released her breath and started walking, making sure she would have enough distance between herself and the others so she could be alone with her thoughts. Not that she had deep ones. She never let her mind go there. She kept them on pleasant things. The way the sun cast her shadow along the grass, the different flowers she passed by, the sound of the animals that accompanied the group, among other things. Mere distractions. Things to think about to pass the time. With a glance over her shoulder, she was assured Laura was too far behind her to catch up to her. Of all the people who threatened her peace, it was Laura Rufus. Just what was it about her that made Laura keep talking to her? There were other women in the group. Was it because they were the same age? Or did Laura enjoy watching her squirm? The leader called out it was time to go, and soon the whole party was moving forward, the mix of oxen, mules and horses going at a steady pace. She pulled the bonnet from her pocket and tied it around her face. If she didn’t, she’d be regretting it that evening. She’d already gotten enough of a sunburn the other day. Gathering her skirt, she marched forward. From up ahead, Joe Otto, who was riding a horse, looked back at her. Their eyes met for a moment, and her steps slowed, her heart stopping in her throat. She glanced at Richard, but he was too focused on the oxen he was guiding to notice. Lowering her gaze, she avoided further eye contact with Joe. If she’d known he had taken a job to help lead and protect the wagon train, she never would have agreed to come. So far, he hadn’t approached her, and she could only pray he’d leave her alone for the entire trip. But they still had two months to go, and a lot could happen in that time. 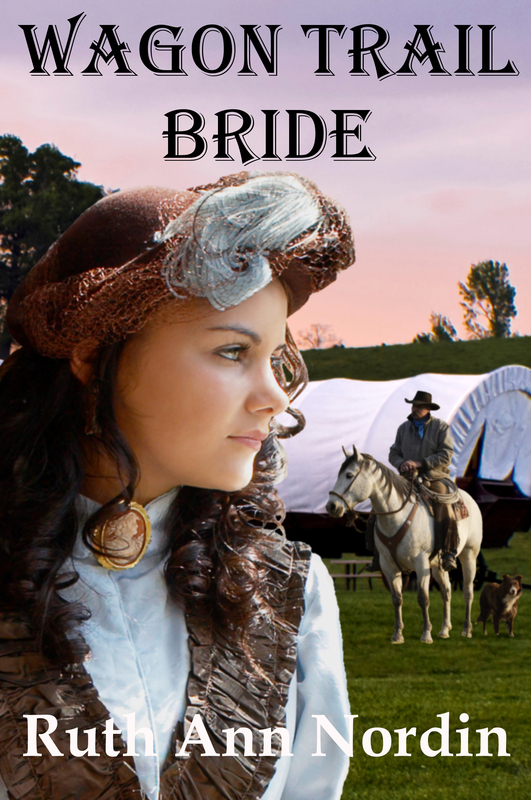 This entry was posted in flash fiction, Wagon Trail Bride. Bookmark the permalink. You have me hooked. I hope you finish it this time. I like it, Ruth. It flows smoothly and grabs you. Have a great rest of the day. Okay, now I’m curious about Joe.